When writing about The Old Man and the Sea, there's more than one way to hook the reader's attention. Students at Maharishi School this quarter had asked for creative opportunities to respond to books read. Below are several reactions to Hemingway's novel by 10th grade students. He had been sailing for many days and nights, alone on the dark sea. Nothing had even touched his line for the past few days, and the young man was wondering if this was truly the end. He should have listened to his old man mentor when he said that the sea was too rough. The old man had told him that he had once known someone to go eighty-four days without catching a single fish, but it was probably just a lie. No one should be going a year without fish. He was the worst form of unlucky--stupid. The man raised his line and drew in a piece of seaweed. His first catch of he day. The man rebaited his hook and threw it into the water. The sun was setting quickly, and the man knew that if he wouldn’t catch anything now--then he would go to bed hungry for the third day. The line was pulled slightly. Then again! The man sat slightly more forward over the stick that held the line from his boat. He tugged a little this way and that way until he was sure that he had something on the other end of his line. Wow! I did it--my first catch of the year. This better be good, the man thought to himself. Patience, Timon, patience. Remember the story you were told about. The old man? Yes, he caught a big fish—and was at sea for many days. I must be like him! Timon slipped and accidentally tugged the line to hard. The line gave some lag, but all of a sudden it pulled back twice as hard, and Timon felt his boat slice through the waves. What have I caught? Timon wrapped his hands around the rope--to keep the fish from taking too much lag—and started making an intricate series of knots with the other. No matter what he had caught, he would not let it go. Martin “Marley” Marlin has died. He was seven years old. He was harpooned to death by an old fisherman in the Gulf Stream after pulling a fishing boat for almost three days. Martin was born on July 18th, 1944, off the coast of Cuba, to parents Rodrico and Aliala. Martin was always a bit of a warrior. He grew up with no father, and his mother was a tuna addict. Martin left the school at only one and a half years old to go and live with Ernando, his uncle, and Sabrina, his aunt. When Martin was just a little fish, he was confronted in the schoolyard by two sharks. He left that place with a few scars; the sharks left without fins. Martin never was one to give up on anything, especially a fight, so when the hook from the old man’s line entered his mouth, he knew that he was going to be in it for the long haul. He worked as the manager of the Mighty Mackerel, a sandwich shop on the lower east side. He loved his job, but his aspirations as a youngster were to be a gold-medalist in the Fish Olympics. In his spare time, he volunteered at the homeless shelter, providing all of the fish there with free mackerel. He loved to know that he was making a difference and helping fish that were in need. Martin will be succeeded by his daughter Francina, and wife Maria. All of his possessions will be given to them, as well as his house. Martin was like a brother to many of us, and he will be truly missed. A funeral service is being held at the town centre on August 4th. I hope many of you can make it there to remember this great fish, father, brother, and friend. Santiago was panting; his heart racing. With the help of Manolin, he had just managed to kill the biggest fish he’d ever encountered. The two of them pulled the fish towards the skiff, not saying a word; they were too far in shock to speak. They cut some lines and tied the fish to the skiff. Manolin finally broke the silence. “I knew it, you still have enough luck to catch this beauty,” he smiled. “I think even the great DiMaggio would be impressed.” That put a smile on Santiago’s lips. “Well, we’re not back yet. I’m worried about the sharks that will be attracted. You can have the club, and I’ll use the harpoon.” With that said, the two set sail back towards home. They took shifts on who would watch for sharks while the other slept. This much-needed rest gave them the energy they needed to take on the waves of sharks that they encountered on their way back. Little chunks of the fish had been stolen away by sharks that came from under the boat, but because of the rest they got, they were very quick in dispatching these. Santiago felt as if parts of himself were taken with the fish every time one of the detestable sharks managed to sneak a bite. It was a tough decision, but Santiago was glad that he decided to allow Manolin to come with him. The boy had pleaded, and Santiago couldn’t stand to see him in that state. He knew now that he wouldn’t have been able to make it this far with so little loss of the fish if it weren’t for him. “Thank you, boy,” Santiago said as they reached the docks. Tears welling up in his eyes. He hadn’t cried in front of the boy before. Manolin was also crying. When they finally reached the docks just before the crack of dawn, all the fisherman that were about to head out dropped everything they were doing and greeted them. Everyone was cheering. People helped the old man and the boy drag the fish out of the water. The old man, the boy, and about five fisherman helped to walk the fish over to the butcher. There they weighed it and gutted it. 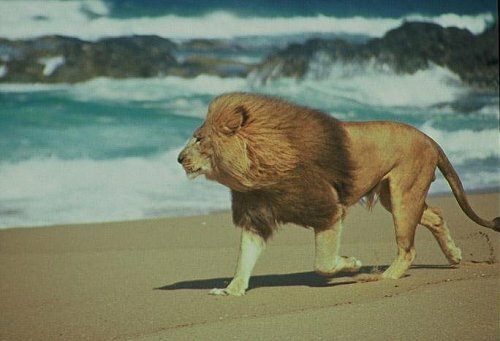 This is how the story of The Old Man and the Lion began. 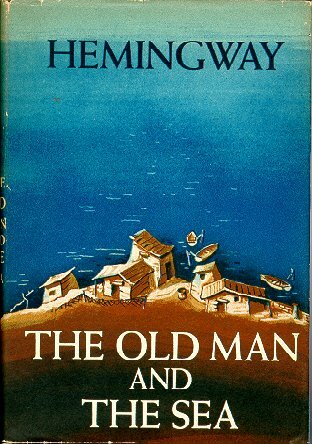 The Old Man and the Sea is a one of a kind book that completely deserved the Pulitzer and Nobel prizes that it was awarded. It communicates beautifully to readers what it means to be a noble human being as well as completely capturing the time and environment of the poorer coastal towns of Cuba in the 1950’s. The book begins in the first person of our main character, Santiago, a master fisherman who has devoted his entire life to fishing. Unfortunately, Santiago has become old and unlucky in his fishing, and has gone without catching a single fish for 84 days. This story is essentially about his journey on the 85th day of his fishing when he hooks a marlin bigger than his skiff. Throughout the course of the book, Santiago shows the reader that despite him not catching anything in 84 days, despite him being looked down upon by other fishermen, Santiago pursues his passion no matter what the outcome or accusations are. He is a fisherman, and no set of events could ever change that. So call him a failure, but this really illustrates to readers that Santiago displays the sort of determination and character that every human being should aspire to have. 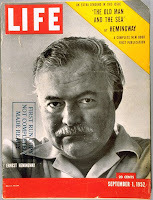 Hemingway goes into great detail to his process of thinking as well as his determination as a fisherman and as a man. One of the greatest aspects of this book was Hemingway’s ability to take such an insignificant situation and a seemingly insignificant man, and enlighten the reader that everything and everyone is significant, whether or not it’s obvious at first. I would highly recommend this book to all audiences; it’s a quick, and simple read with a wonderful reminder that determination and confidence are the pathways to success. So nice to see responses to literature that extend and enhance the reading experience; so many assignments -- the dusty old book report, for example -- are like Novocaine to the mind. Yes, I enjoyed the creativity and gained some new perspectives myself.